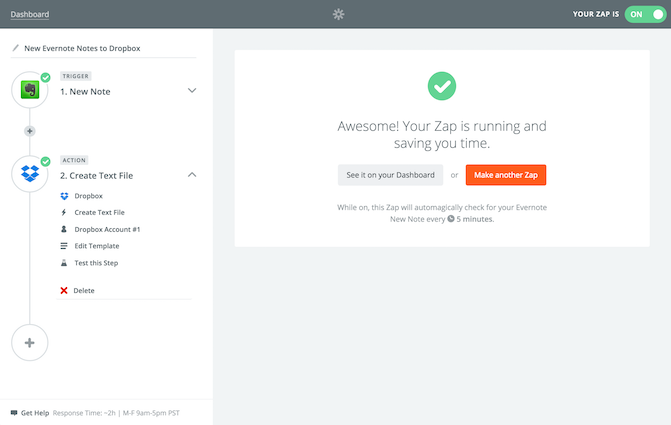 Zapier is a flexible automation tool that extends what you can do with Dropbox, connecting it to apps used everyday — like Evernote, Gmail, and Google Drive — and automating tedious tasks in your workflow. 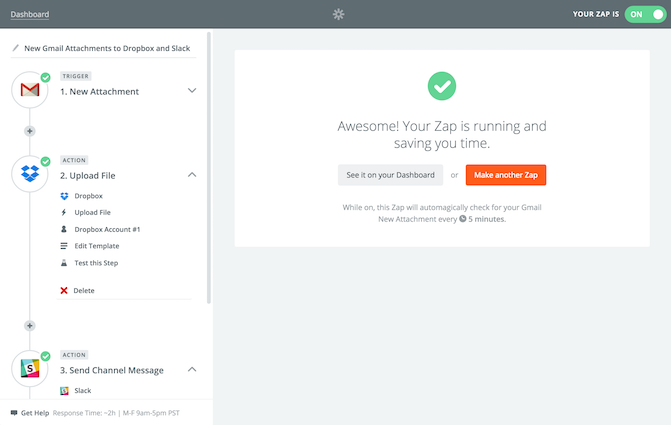 Zapier lives between Dropbox and your favorite apps, connecting your files, clients, notes, and users across them all. Automations called Zaps can be set up in minutes without any coding experience. 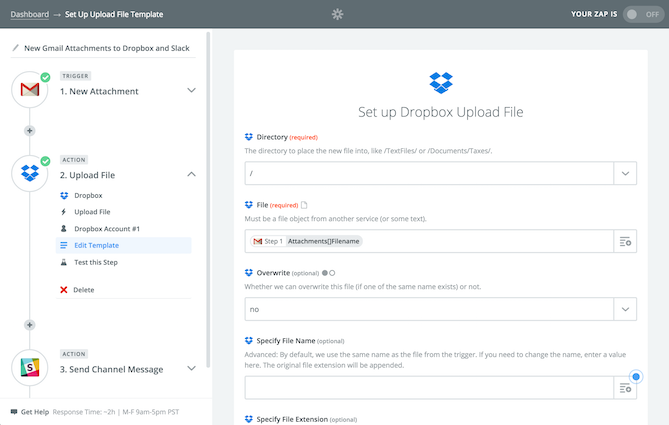 Simply pick a Trigger app and event — like adding a new file on Dropbox — and specify the Actions you want Zapier to automatically take in response. From that point on, Zapier will do the work for you, so you never have to copy-paste or import and export again. Automate workflows with Triggers and Actions. All relevant information is automatically sent to your favorite apps when new directories are added or new files are added within a directory in Dropbox. 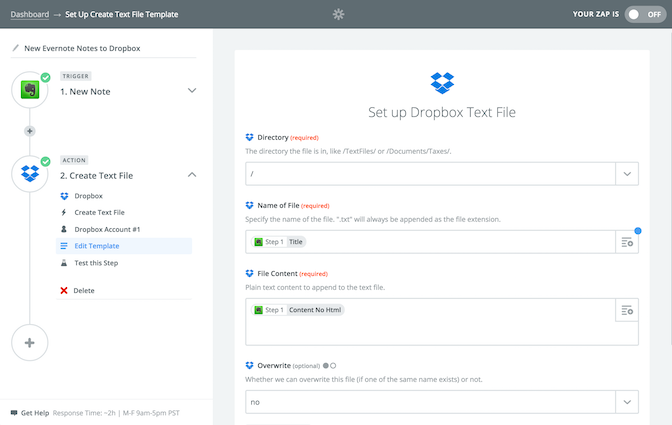 Instant updates to Dropbox from workflows in other apps, including automatic uploads of files, creation of folders, and creation or appendage of text files.